I thought about blogging today about how I intend to celebrate International Worker’s Day, or as it is known by communists, May Day. Instead, I decide to celebrate it by actually going to work. A big part, indeed, the most important part, of my work is preaching. The best sermons are always rooted in Scripture and flow from an exposition of the meaning. However, it is good communication to find culturally meaningful ways to communicate this truth. To that end I’ve been playing around for several years with a sermon series that is based on the titles of popular, mostly retro, songs. I’ve written this before. But today I’ve got some new songs that I might incorporate. 1. “Changes” by David Bowie. The key line from the song that will preach well is “time may change me, but I can’t change time.” It is ontologically true that we change and that the world changes. The sermon could illustrate the different ways that that church and theology have adjusted through the years and then prognosticate how it needs to further adapt. And then, in a brilliant twist, the sermon can go to Hebrews 13:8, “Jesus Christ is the same yesterday and today and forever.” So much about us changes, but the one universal constant is Christ. 2. “We are the Champions” by Queen. Text: Romans 8:37. Motif: God is with us, therefore regardless of circumstances we have victory. Purpose: To move hearers to live in the confident assurance that we have victory over evil and sin. Yeah, I definitely think that will preach. 3. “Don’t Go Breaking My Heart” by Elton John and Kiki Dee. I am very ashamed that when I hear this song on the oldies station, for some reason it always makes me smile. I think the sermon could pivot in one of two ways. One way it could go is to highlight the phrase “don’t go breaking my heart” from the perspective of God. When we sin or walk away from him we are breaking his heart. It could also pivot on the concept of loving one another–from say, 1 John 4. By neglecting our responsibility to the church and the Kingdom of God we are breaking hearts. 4. 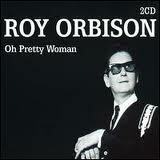 “Pretty Woman” by Roy Orbison. I know what you’re thinking, WHAT? But pay attention–The sermon would be some kind of exposition of Proverbs 31. Then it would finish with the biblical definition of beauty–an inward beauty rooted in integrity, modesty, commitment, industry, and above all, a deep spiritual and rich love of Christ. That is true beauty that lasts forever and cannot be bought in a jar. 5. “Can’t Buy Me Love” by the Beatles. Alright, now I’m just cheating and piling up. I actually used this on Sunday to open my sermon about resurrecting our financial lives. I didn’t use it to build the entire sermon, but I certainly could have. What is interesting to me about the Beatles is the wealth of sermonic ideas in their lyrics. They were not particularly spiritual in their early songs, but they were relational. As you consider my songs, please notice that there are no Guns-N-Roses, U2, or Led Zeppelin entries. I also want you to notice that there are no ’80’s songs. That means I kind of worked hard on this one, because as a Gen X’er the 80’s is my native tongue, but these are from the 60’s and 70’s my friend and I did it without the Doors or CCR. See how hard I worked, all for you. i’m pretty sure david lee roth covered it in the 80’s. does that count? I would like to hear you built up Pretty Woman- that would be interesting!!! it would be good, i think. i can’t believe i haven’t thought of it before.